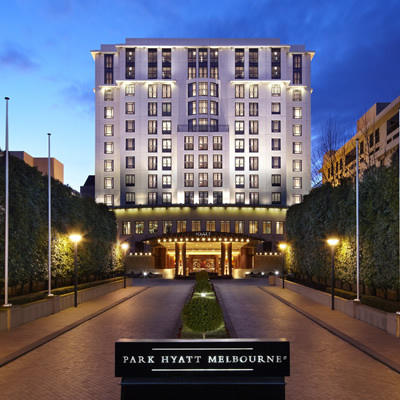 The Park Hyatt in Melbourne can be found in a secluded oasis in the heart of Melbourne and just a few minutes’ walk from Parliament Station, the Park Hyatt offers a true five star experience. The private driveway leading to the front of the hotel is wonderfully kept and provides a glimpse of what to expect. The hotel has an imposingly impressive façade, we were greeted by the smartly dressed welcoming doorman as we approached. 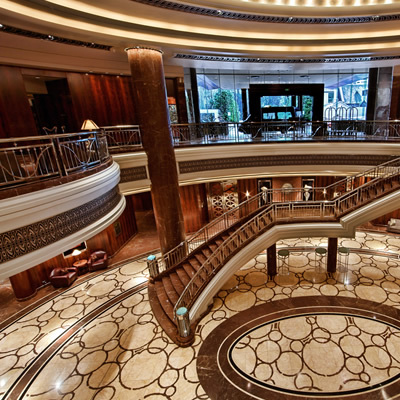 As we entered the lobby the well polished marble floor, woods and chrome furnishings made a super first impression. The staff greeted us with a smile, and we were swiftly checked in. We experienced a Park King Room, the décor and layout of the room is classic, whilst remaining luxurious. We were impressed with the quality of all the furnishings and features. Our room was spacious and comprised of a large open plan space with a comfortable arm chair and desk which was perfect for catching up on some work, the king size bed was super comfortable. 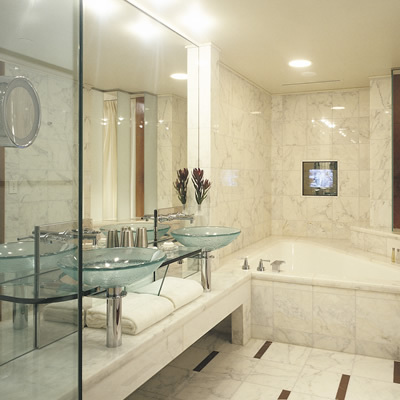 The bathroom was also spacious, and featured an Italian marble bath with a walk-in shower. 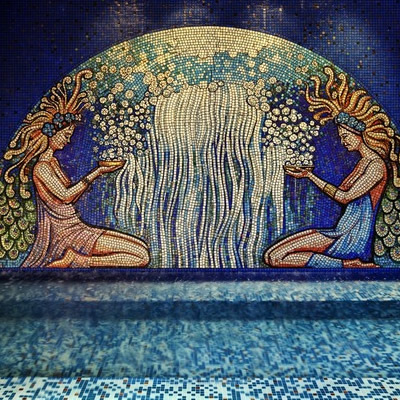 Park Hyatt boasts the largest indoor pool in Melbourne, which is an impressive feat and something to take advantage of. There is also a health and fitness centre, complete with a jacuzzi, spa, sauna, steam room and plunge pool. If you enjoy water activities you are more than spoilt, all the facilities are of the highest standard and very relaxing. Our dining and evening entertainment was also well catered for. The Radii Restaurant has an interesting menu, with a strong emphasis on serving fresh seasonal dishes with locally procured ingredients. There is also a cocktail bar, a lobby lounge offering afternoon tea services, and finally the private Club Lounge which offers a relaxing environment in luxurious surroundings with complimentary drinks throughout the day complete with canapés and alcoholic drinks in the evening. 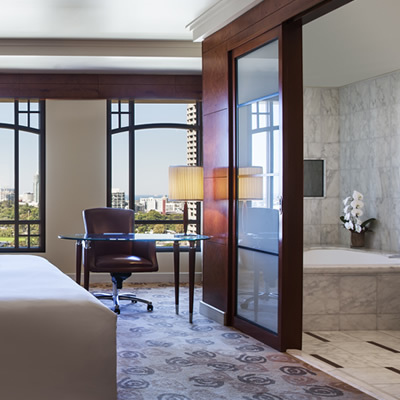 The Park Hyatt is the perfect example of what a five star hotel experience should offer. We were treated incredibly well, and were more than impressed with our experience. We would love to visit again in the future. 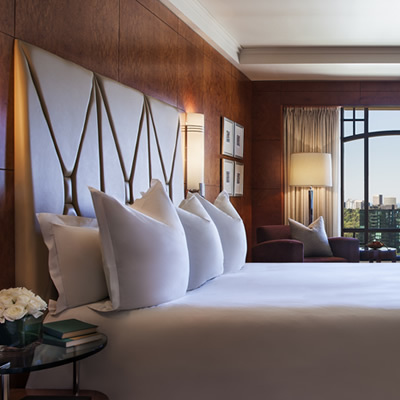 When visiting Melbourne, the Park Hyatt is one to consider.